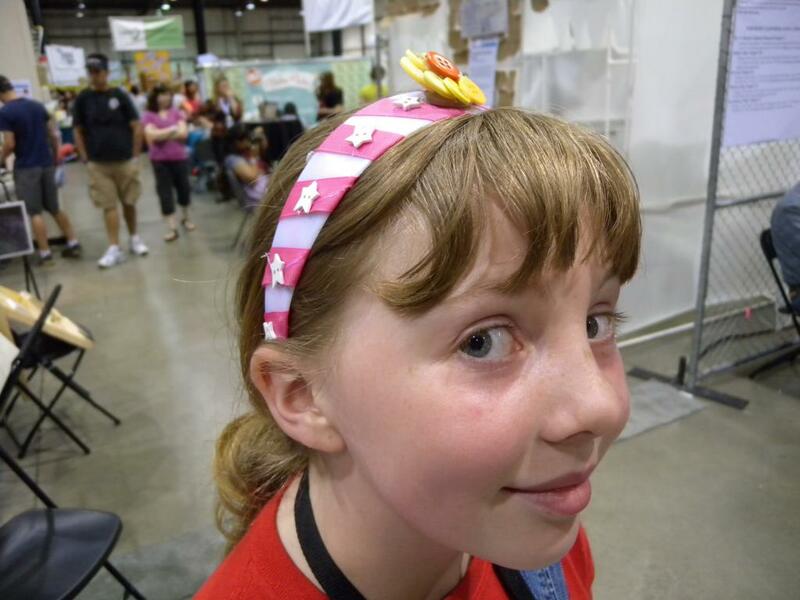 Lenore Edman | Sylvia's Super-Awesome Maker Show! 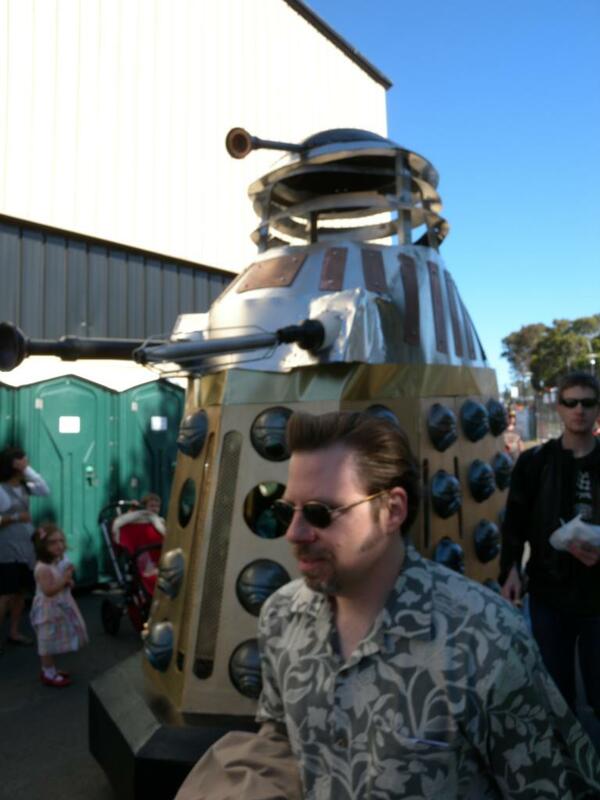 TV show appearances, Multi-Maker Faires, and Crazy Robot Adventures? All part of a regular summer for us here at SSAMS. 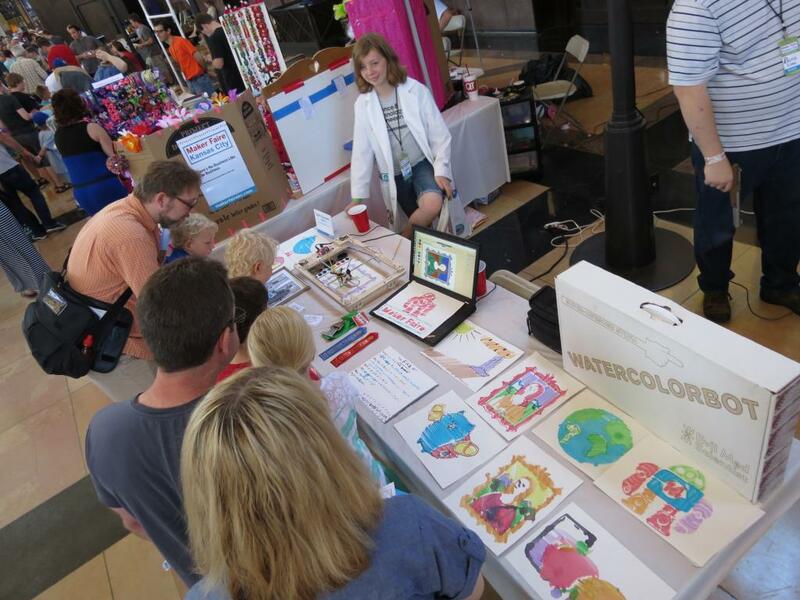 July 16th: Sylvia launches her very first original product, the WaterColorBot, as it’s own educational kit on Kickstarter. 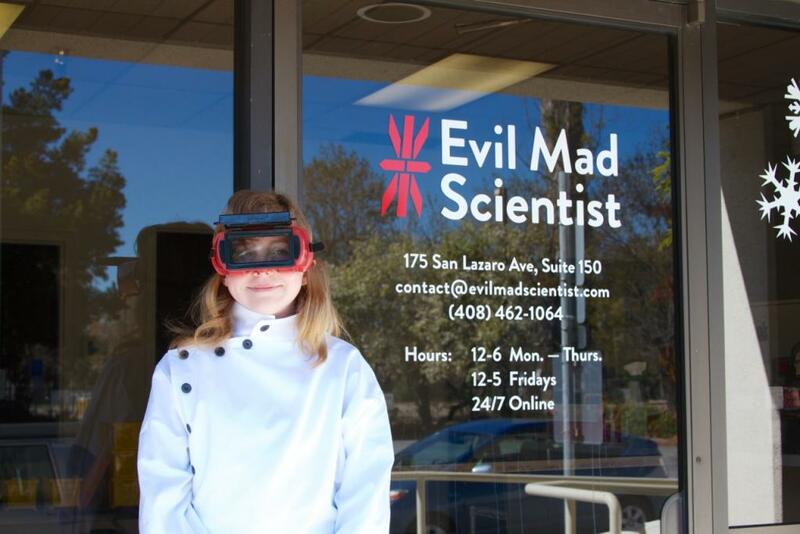 Supported and manufactured by the incredible staff at Evil Mad Scientist, this one is sure to be a game changer, not to mention it’s fun and incredibly educational, but we’ll have to make our goal of $50k before August 15th! Can we make it? 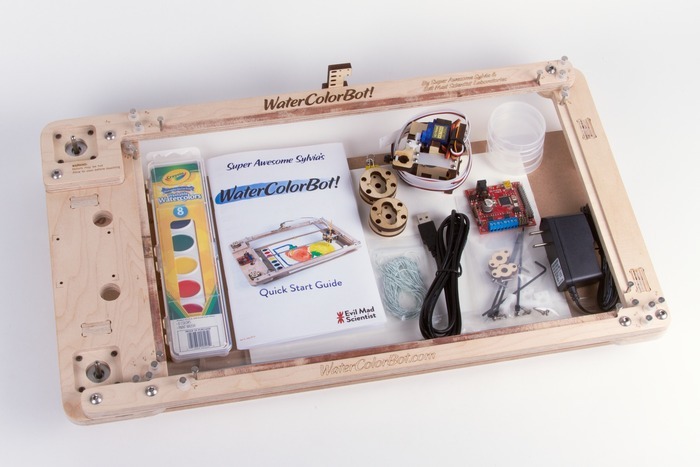 Check out the widget on the front page, or just tell all your friends, family and teachers to go to watercolorbot.com for more info. 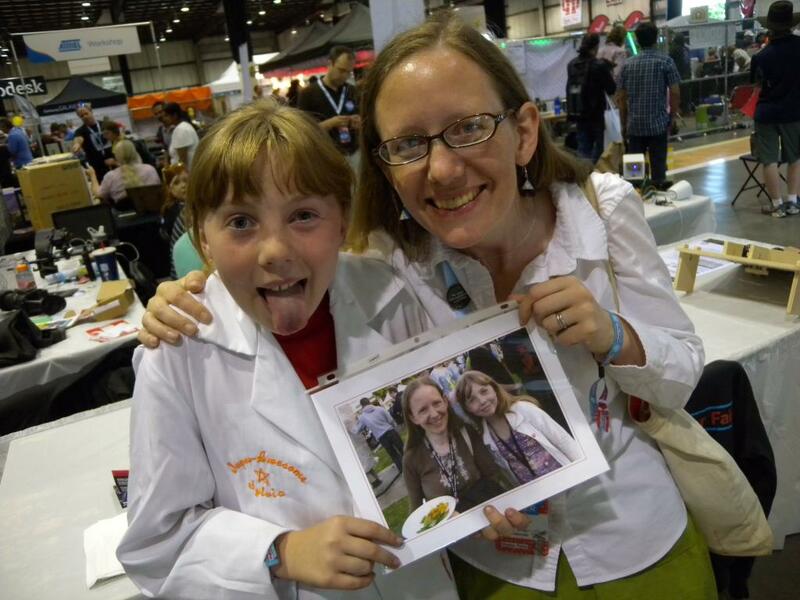 July 16th: Sylvia and Lenore of Evil Mad Scientist will appear on Maker Camp! 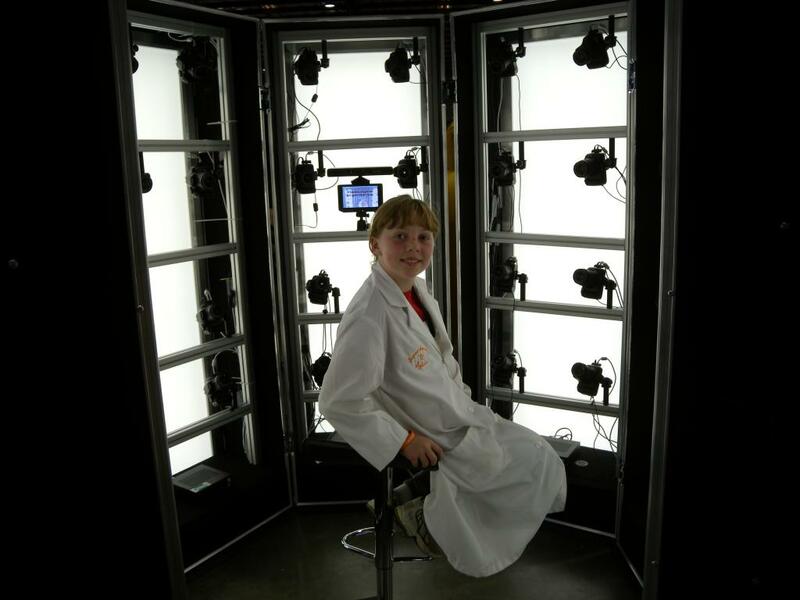 Sylvia will be driving up to Makezine HQ and talking all about the bot, and taking questions from viewers around the world. 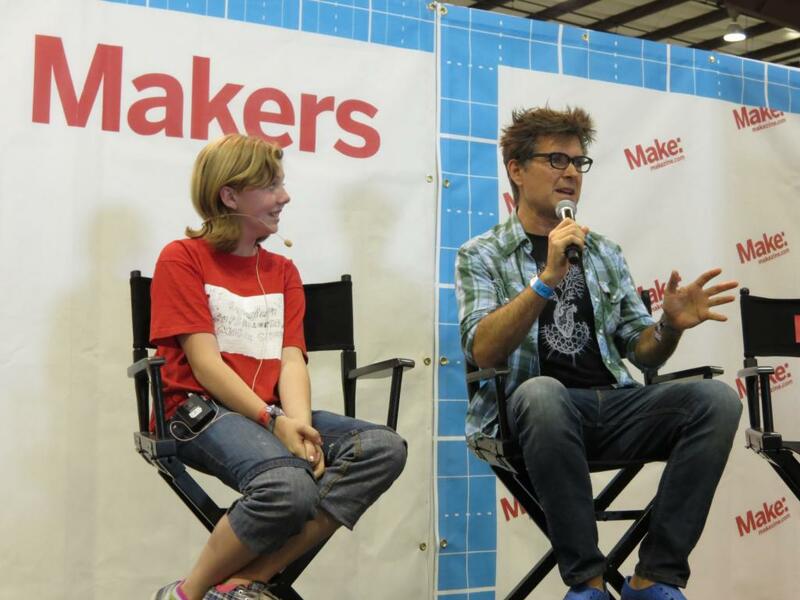 Check the Maker Camp event page to ask questions and see them in action! July 6: Sylvia turns 12! 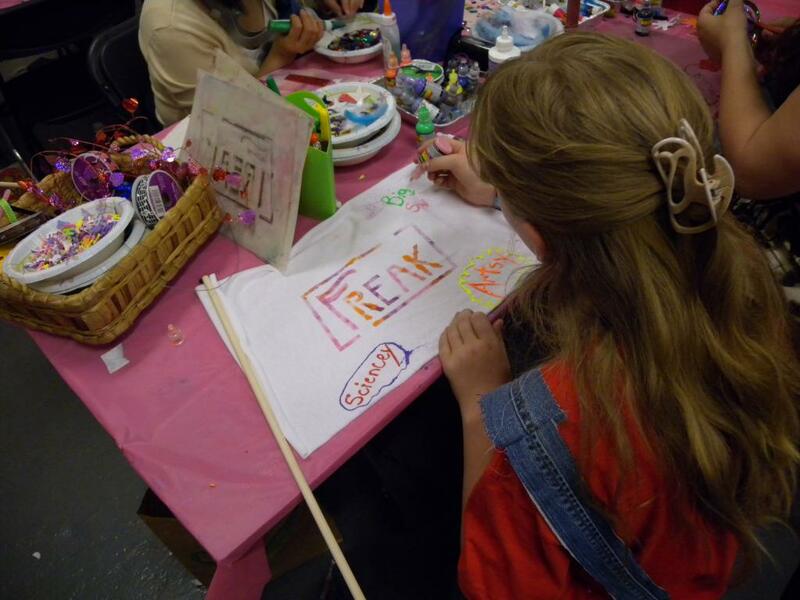 This anniversary also marks the beginning of her fourth season of Maker Show, this year is going to be spectacular. 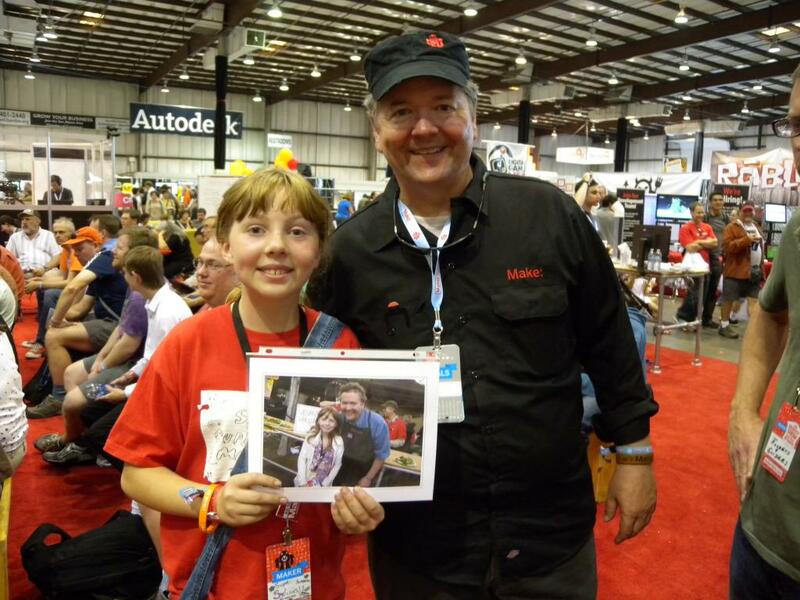 June 29: To Missouri, for Sylvia’s third year at the Show me state’s greatest show and tell, Maker Faire KC! Sylvia and her bot painted over 35 portraits over 2 days, not to mention we had a great time at Hammerspace, playing with the robots, and playing around at Science City. June 19: To Atmel, microchip headquarters of the world! 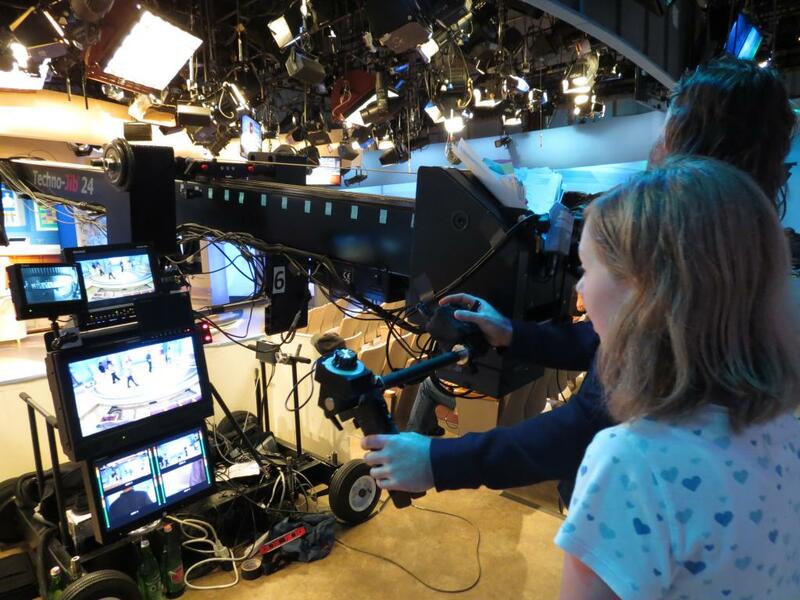 Sylvia was featured at their bring your kid to work day, celebrating education, engineering of all kinds, and awesome experiments, most involving microprocessors like our favorite, the Arduino. Read more about Sylvia's jaunt into integrated circuit fame on the EMSL blog post. 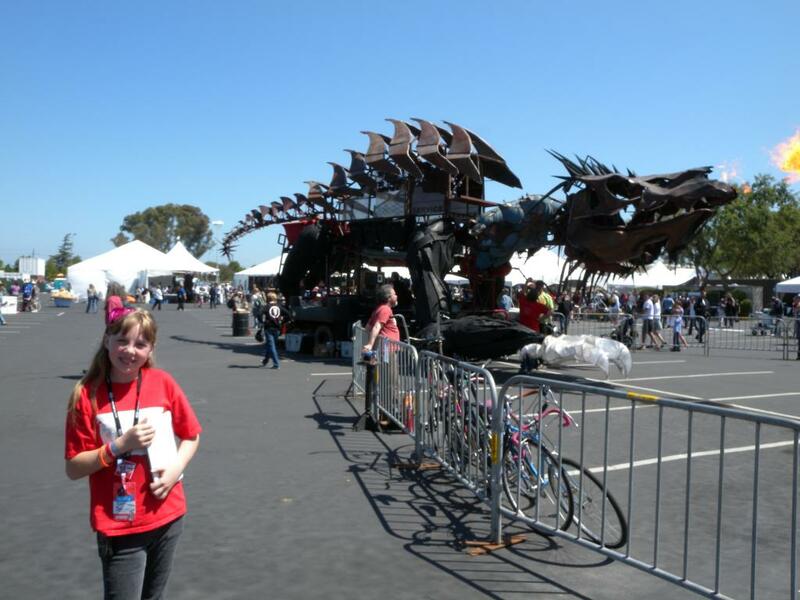 May 18: Maker Faire Bay Area, and incredible bustling non-stop exciting amazing everything at once kind of thing. Lots more makers this year, so much to see. Sylvia manned the booth for a while, but still got a chance to escape and really enjoy the faire, always a good thing. 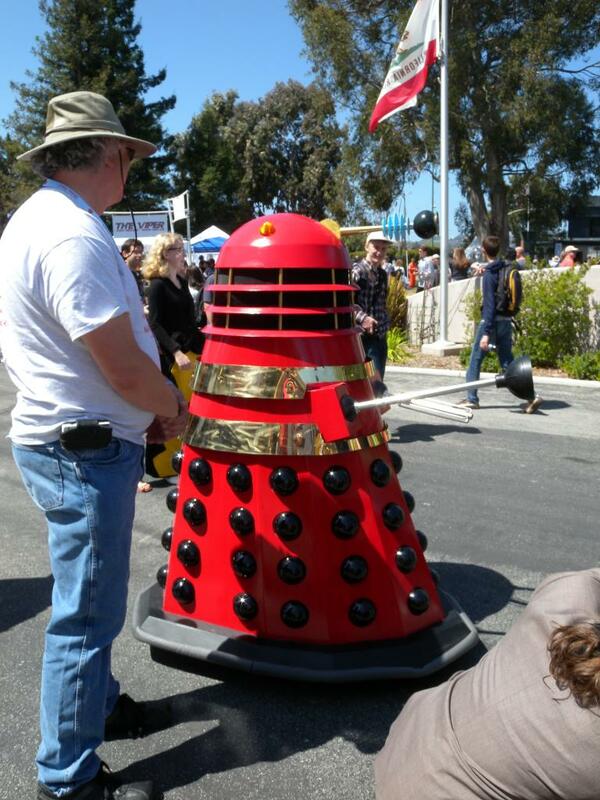 Thousands came to see the bot, and almost everyone walked away with a smile. 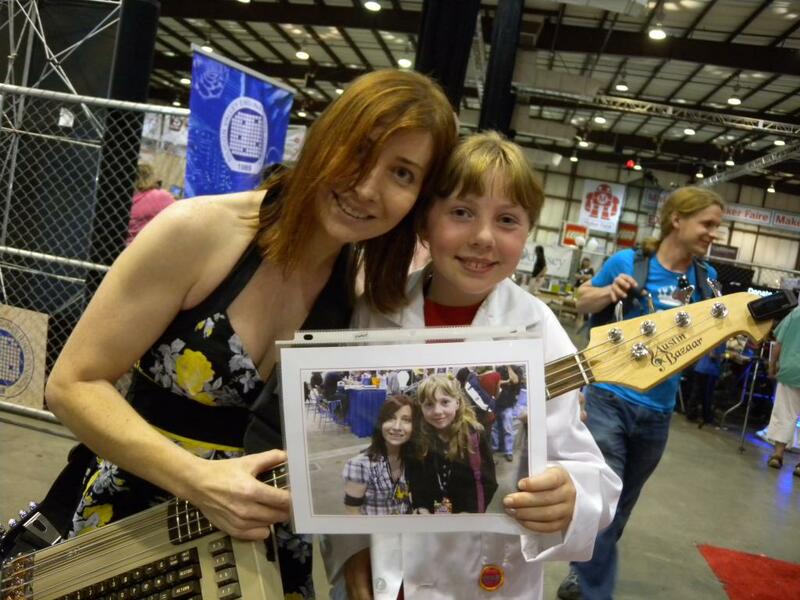 This summer isn’t over yet, Sylvia will be co-leading an Extreme Engineering camp July 22 to 26 with Gary Stager, then off to Space camp in August thanks to the amazing support of fans. Not to mention so, so much more to come, like new episodes (really, we mean it! ), books, and things we can’t even imagine. See you all soon, and don't forget to breath... and get out there and make something! 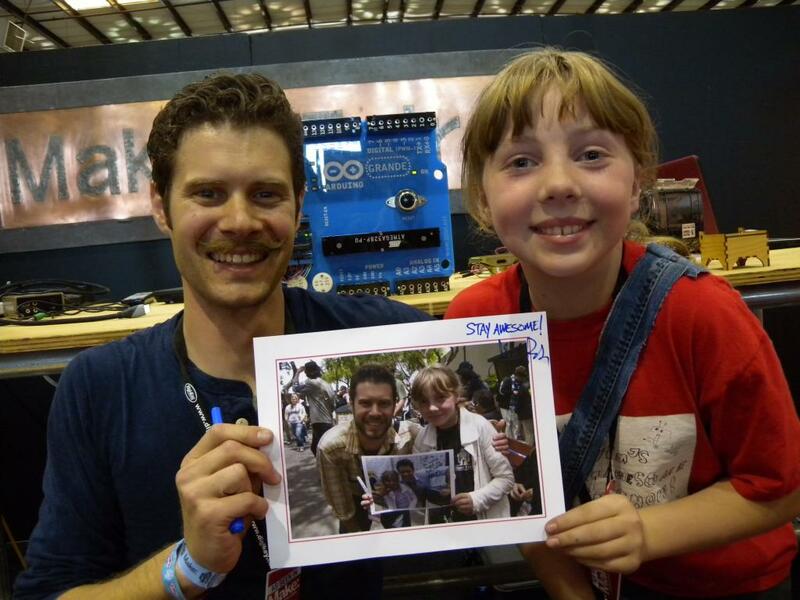 STEAM day, robot building, and new episodes! The new year has proven to be busier than usual, and some things are even getting done, though it's still slow going. New destinations, new shows, new projects, all for the win in 2013! 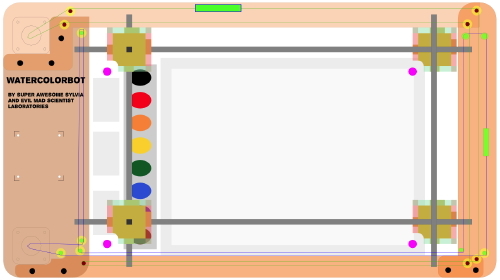 Next up, kicking off on March 9th in Los Angeles, Sylvia will be joining the awesome staff of Brentwood school in teaching basic soldering skills to students, building the Adafruit minty boost at the first annual S.T.E.A.M. Day! 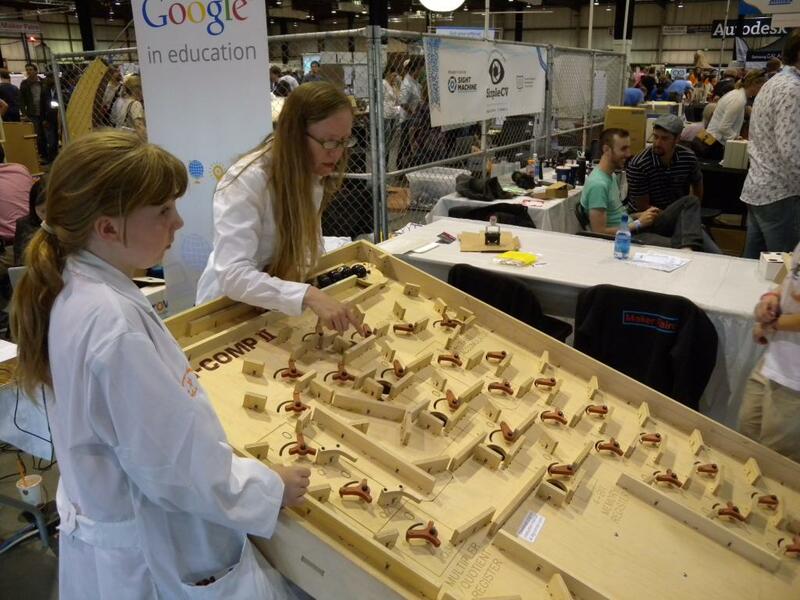 Read more about STEAM day, robot building, and new episodes! (Continued from Maker Faire: Day 0) In no time, the first real day of Maker Faire was upon us, and we were as ready as we could be for the onslaught of wonders. 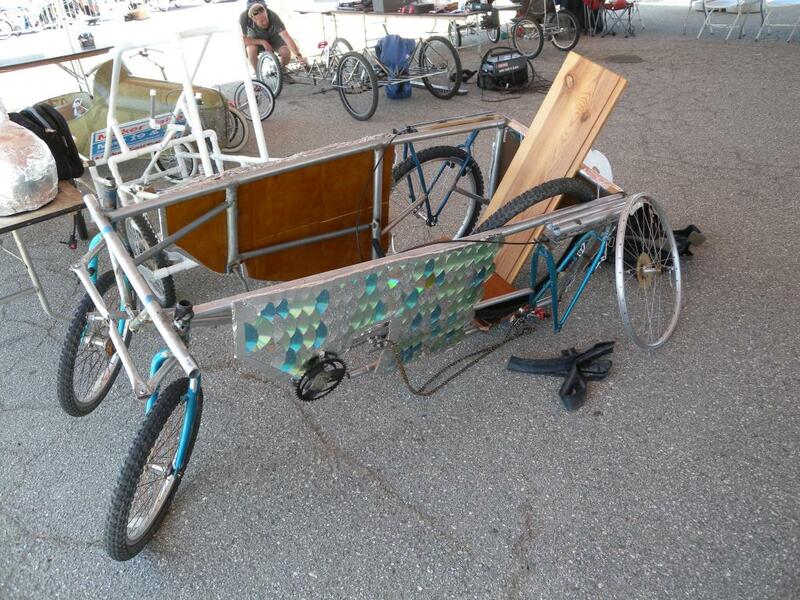 First things first, we set off to the Fun Bike Unicorn Club racing area to prepare our pedalcar. The D, our driver for the "Flying Fishmonger", was out in spades right off the bat, ready for the qualifying run. 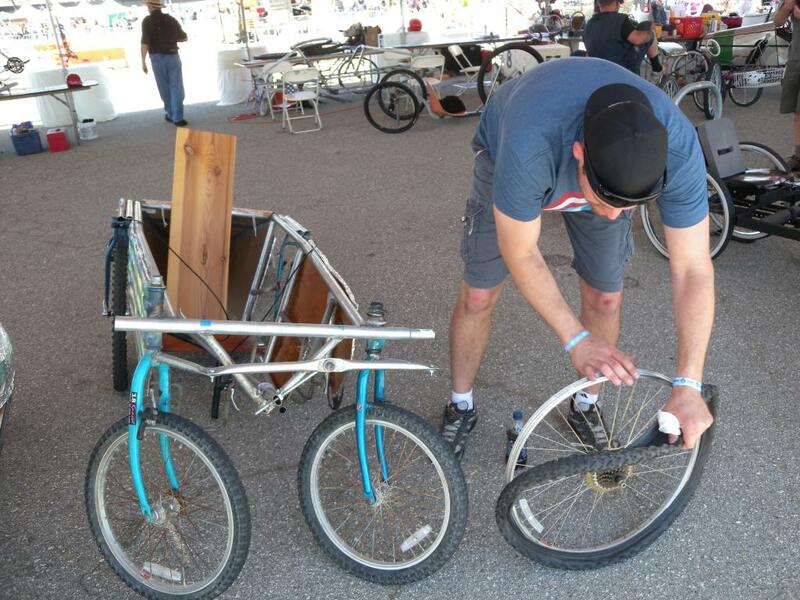 Once brakes were checked and the chain stayed on long enough to run around the track a few times, we were ready for our first race! Even though we'd only spent about $80 and 2 weeks building it, we thought it held up pretty well. Even though by the second race our rear drive tire completely blew out, it was still a lot of fun and we wouldn't trade it for the world. The overlapping CD fish scales were also very popular with the crowds of people coming to ogle the incredible pedalcars. 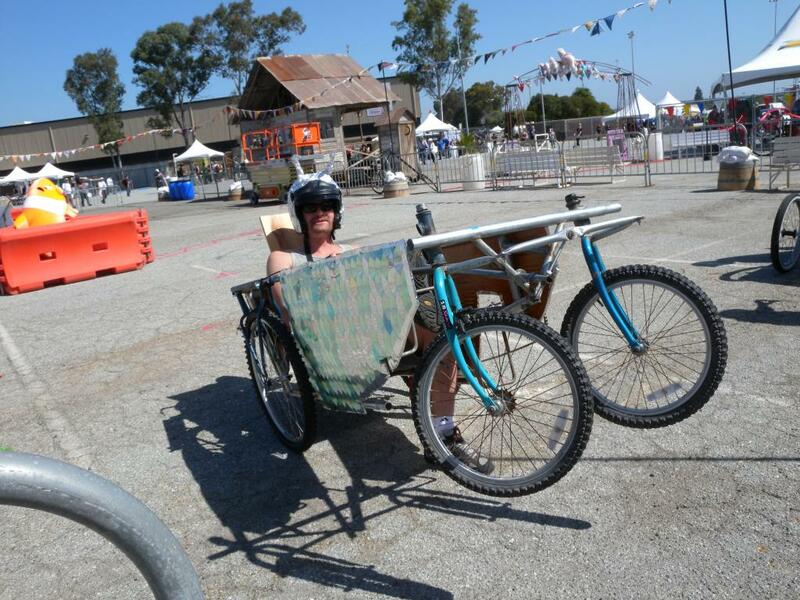 Due to a fluke of failed communication and our family in the middle of moving to a new house, we didn't have a schedule this Maker Faire, so we decided to head out and see as much as we possibly could. 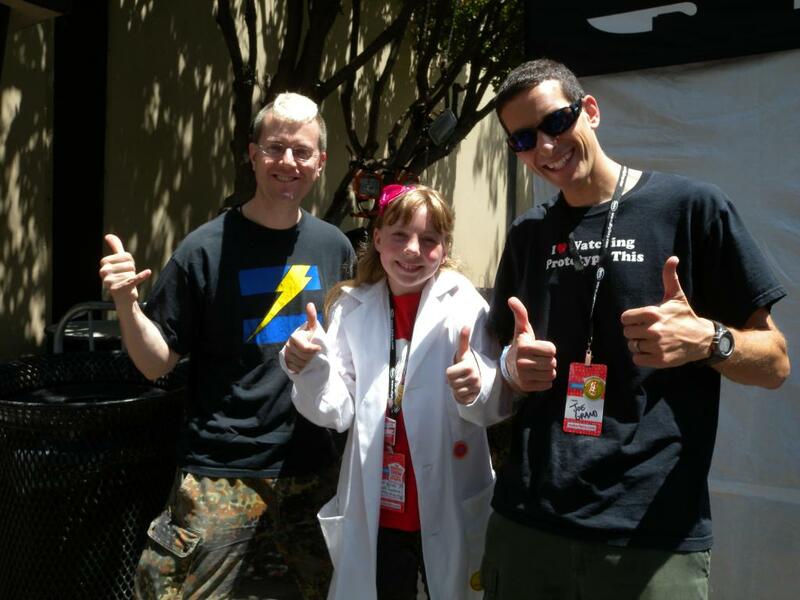 Out on the grounds, Sylvia found two of her favorite hackers/makers, Joe Grand and Zoz Brooks of Prototype This! Joe even recognized her and everyone got some stickers. At the Craftsy "Make & Take" booth Sylvia made herself a stylin' star-and-ribbon-wrapped headband, then off to the FYFFH booth where we made our own "Freak Flags" to fly, then over to Autodesk to get a 3D head scan at their super camera photo booth. 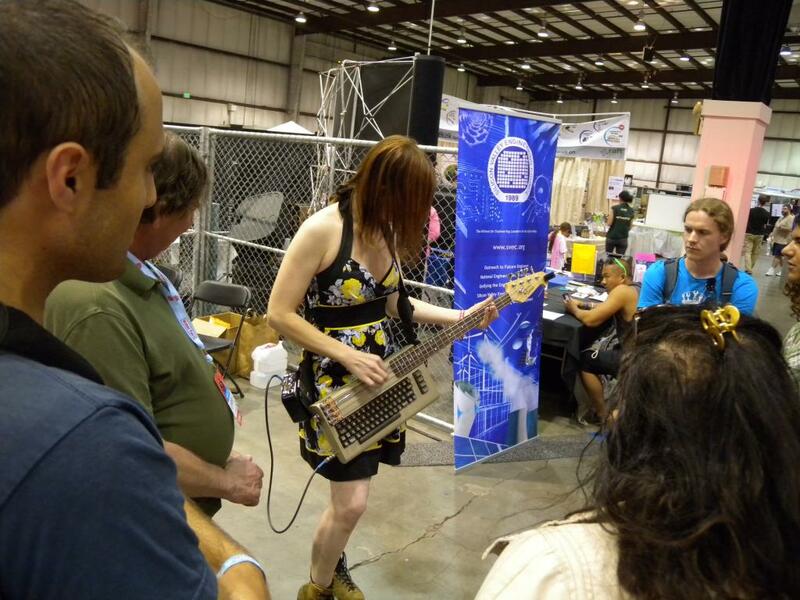 After a quick snap, we ran into Jeri skating around with her hard rocking Commodore-64 Bass Guitar, then we found our good friend Gever Tulley (we first met at DML). 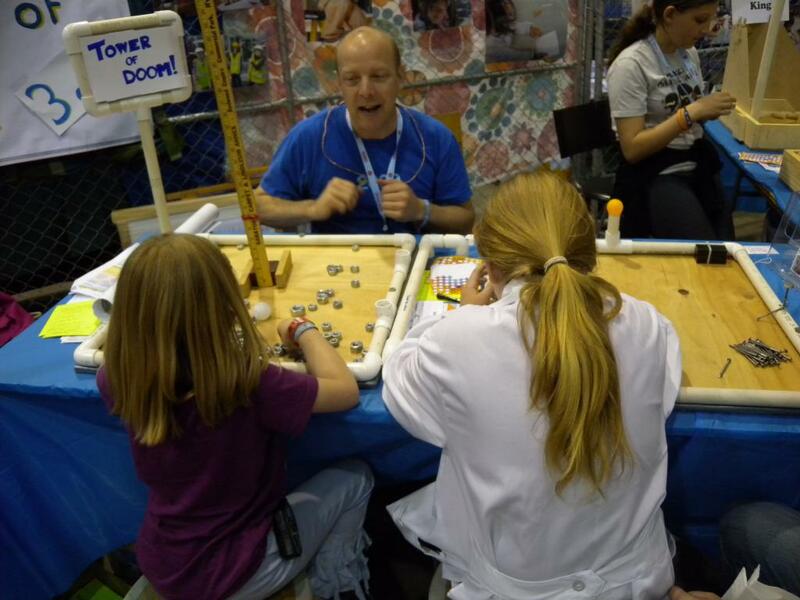 Sylvia and little sister Talulah sat down at his Brightworks booth to try the "Tinker your way out of this!" challenge. After totally winning (really!) we hopped around the corner where we learned all about simple binary computation with 8-balls and wooden flip-flops at EMSL's Digi-Comp II. Outside, we ran into so many amazing sights, too numerous to count. 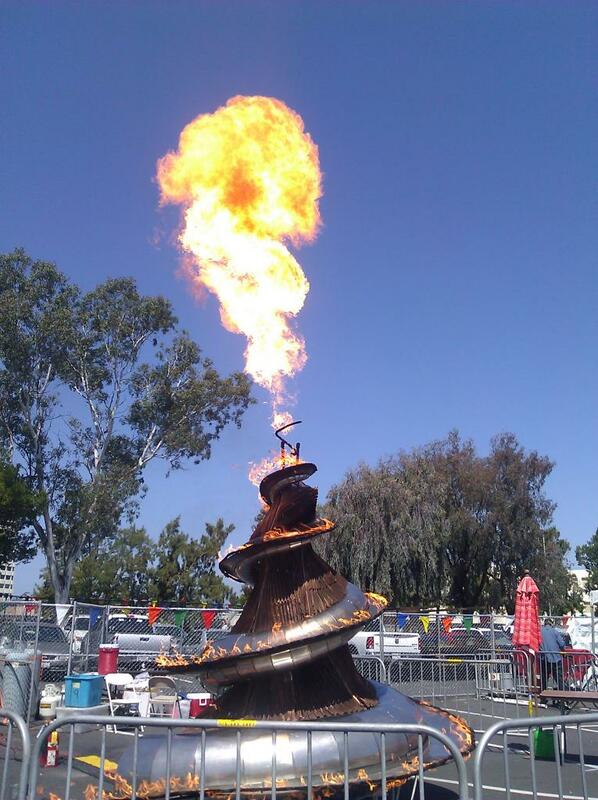 A spiral sculpture of fire, a robotic band playing every instrument imaginable, a life-size Dalek from Doctor Who, a towering 50 foot tall flaming umbrella tree, electric vehicles galore, a giant rubber and steel fire breathing dragon, and then an EVEN BIGGER than life-size Dalek!